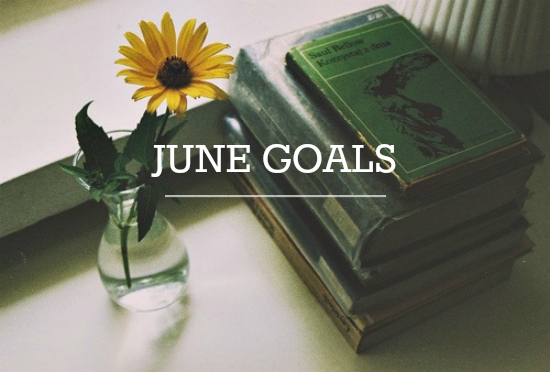 I feel like I haven't really had any chance to think about what I want to do and accomplish in June! This month has just jumped right in on me so I'll probably just be doing more of the same from last month. I've signed up at a yoga studio in our city and I've fallen in love! I want to go to classes at least once or twice a week. Also continue walking & running & biking up a storm. I love how motivated I am to be active in the summer! Continue cooking healthy recipes at home and packing my lunches for work. Keep working on my closet overhaul, and clean out as many clothes as I can! And then make some moneys from selling them all. If I could find an apartment for September that would be really, really awesome. Blah! June you came here too fast!